This is a set of RPM "Revolver" Narrow Base Rock Crawler Wheels. 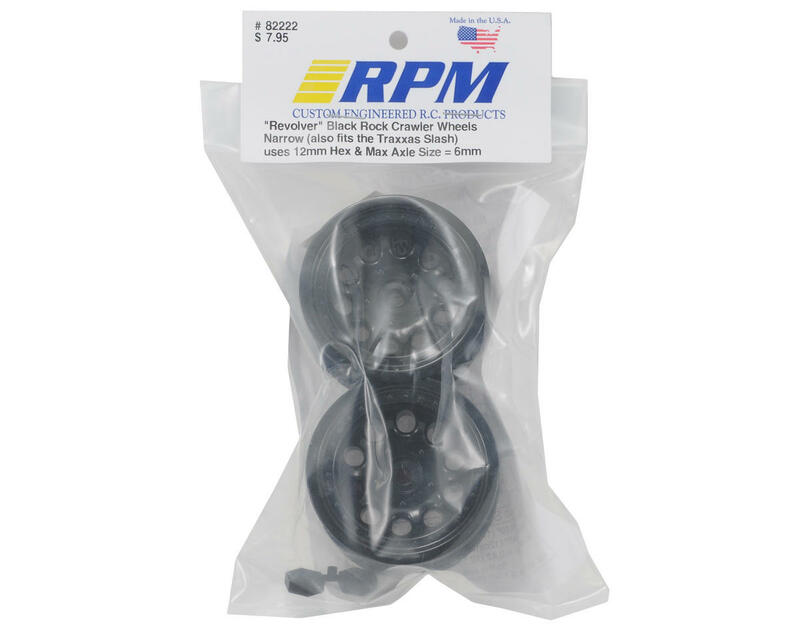 Pull the trigger on the competition when you equip your ride with some loaded Revolvers from RPM! These rock crawler versions of the extremely popular 1/18th scale wheels have the same great looks and rugged durability of their little brothers but are designed for the high-stress, high-torque environment of the crawler world. Features include a 10-hole pattern blended perfectly with a sweeping dished face while the front edge features 30 faux rivets and a simulated 5 lug bolt pattern for a more authentic, scale appearance. RPM wheels are made from RPM's killer blend of nylons and are backed by RPM's awesome warranty. Concours-winning looks are a mouse-click or a trip to your local hobby shop away! 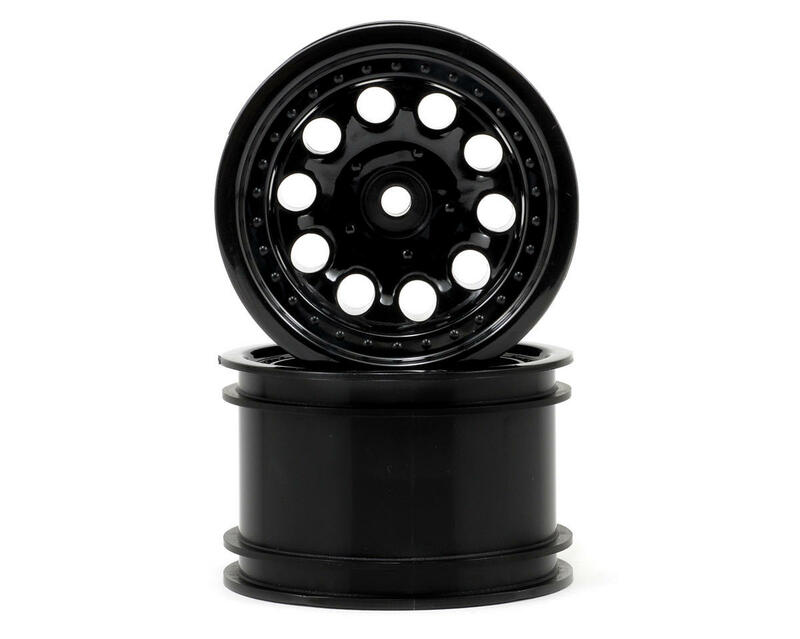 This wheel is available in two wheelbase options - Wide wheelbase which has a 0.28" (7.1mm) backspace option or Narrow wheelbase which has a 0.69" (17.5mm) backspace option.